A street hockey team decked out in yellow! 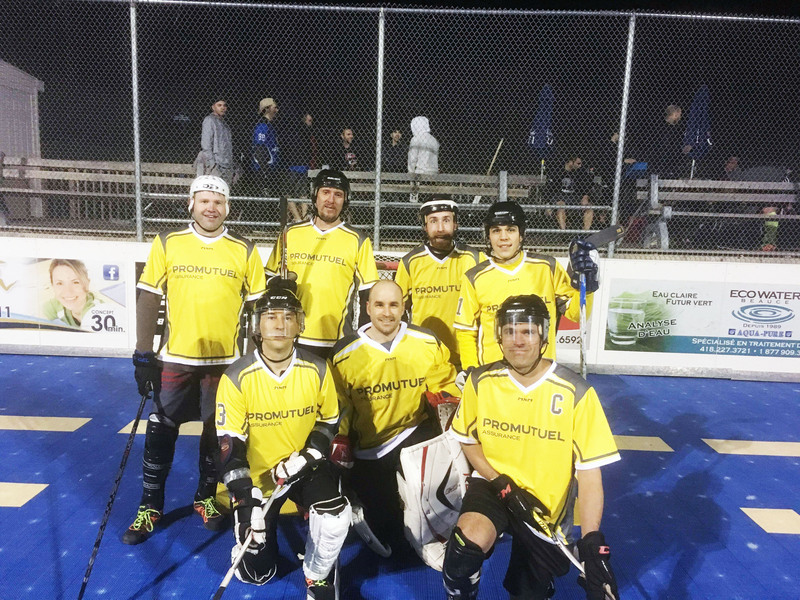 Promutuel Insurance Chaudière-Appalaches is proud to lend its name to sponsor a Saint-Georges street hockey team. Have a great season!